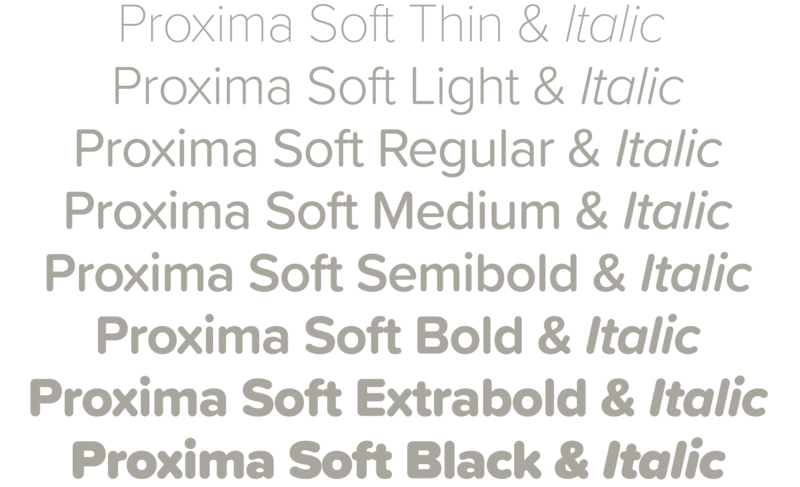 Proxima Soft (2017) is a rounded version of Proxima Nova. 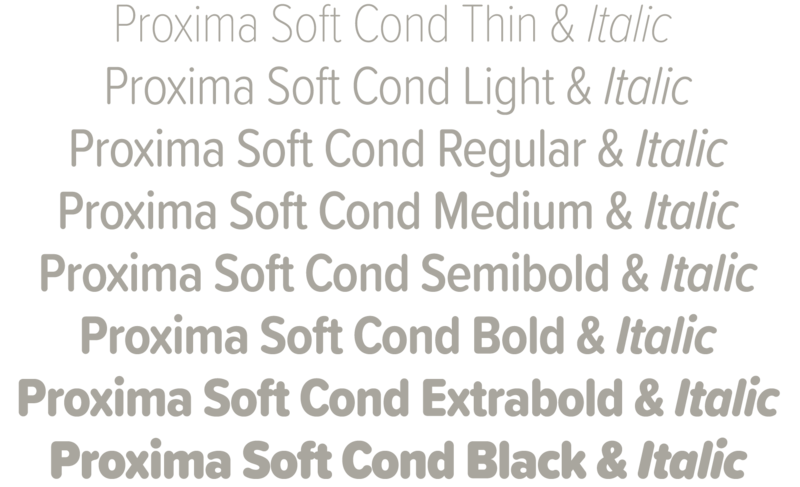 With the same forty-eight styles (eight weights in three widths, plus italics), Proxima Soft fits the bill when you want something a bit warmer and more playful than its older sibling. 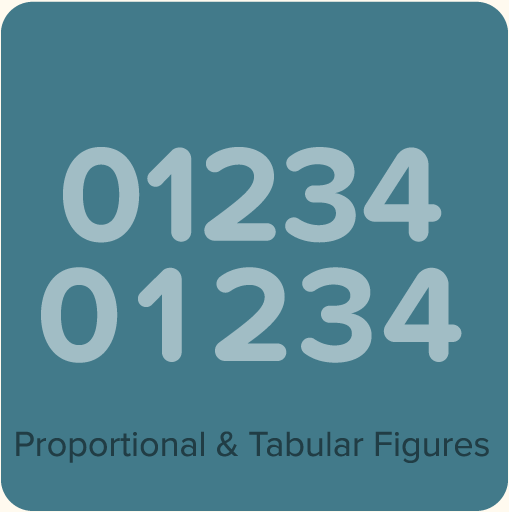 It features the same extensive language support, including Greek and Cyrillic. 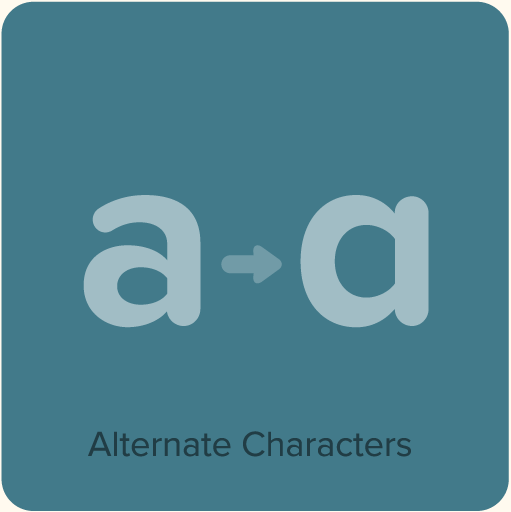 It also has several alternate characters, such as a one-storey lowercase a, allowing you to customize its appearance in a variety of ways. 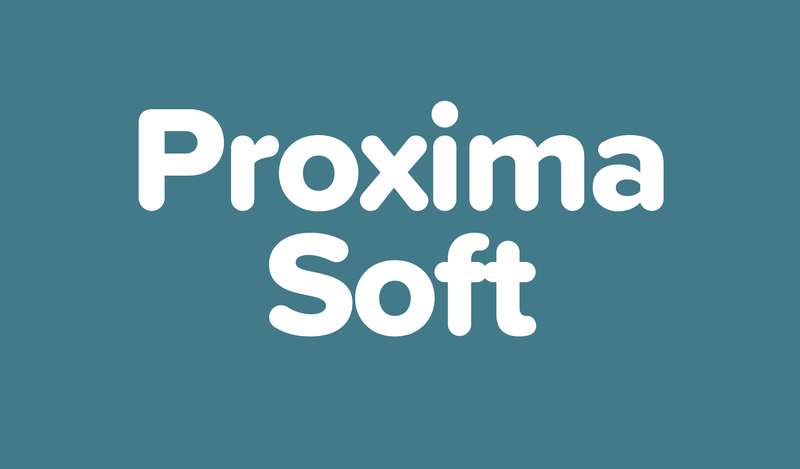 Proxima Soft Overview. An overview showing of all the fonts in this family. 10 pages. 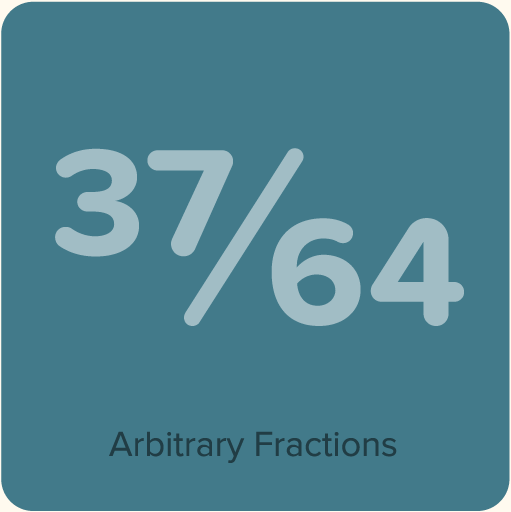 443 KB PDF. 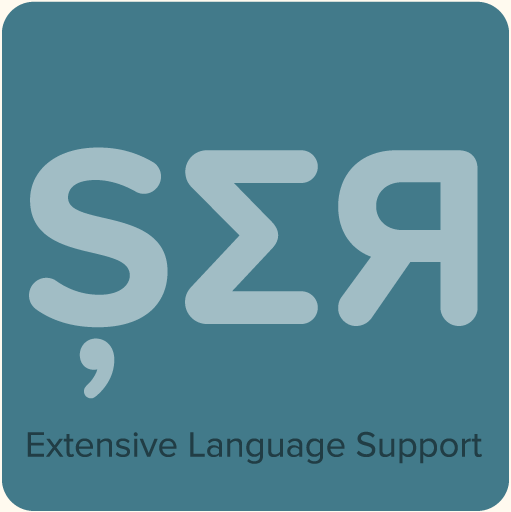 Extended language support for most Latin-based Western and Central European languages and Vietnamese, as well as Greek and Cyrillic. * Requires an application with support for OpenType advanced typography, such as Adobe Creative Suite/Creative Cloud and QuarkXPress. 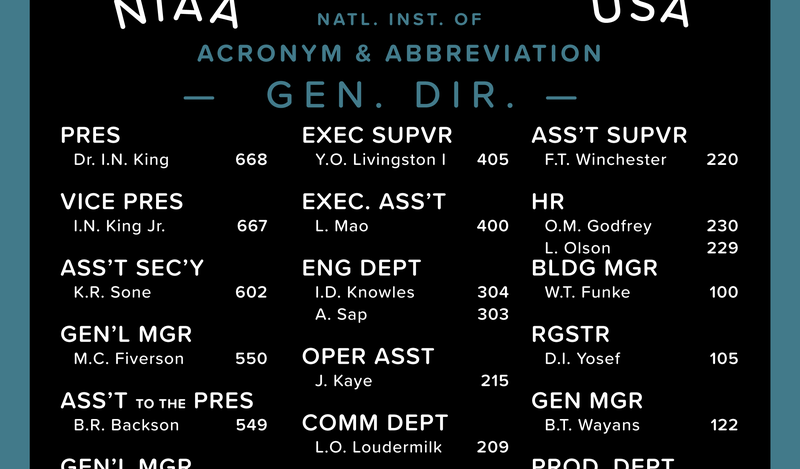 Check your application’s user guide. 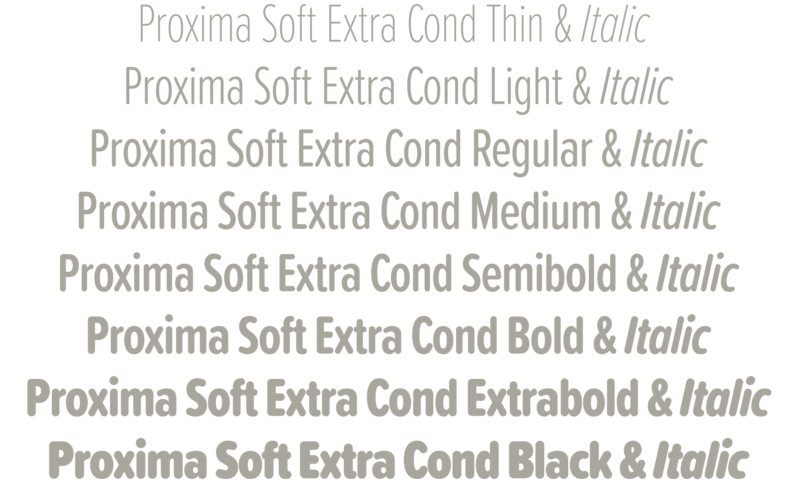 See the Proxima Soft Specimens (above) for complete information.